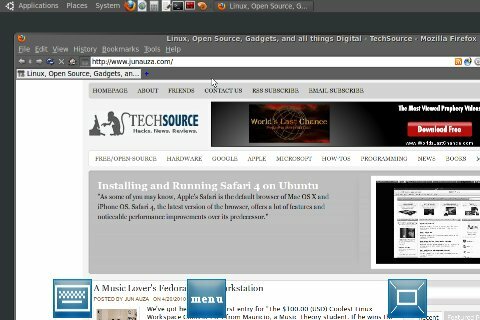 Remote Control Your Linux Desktop Using the iPhone: Did you know that you can remotely control your Linux desktop over a local network using the iPhone? Yes you can, and there's no need for you to edit a config file, create a shell script, or even jailbreak your iPhone in order to make it possible. If you are ready, follow these simple steps to remote control your Linux desktop via the iPhone. Note: I was using Ubuntu Linux 10.04 "Lucid Lynx" and iPhone 3G. 1. From the Linux desktop, open "Remote Desktop Preferences" by going to System menu --> Preferences. 2. 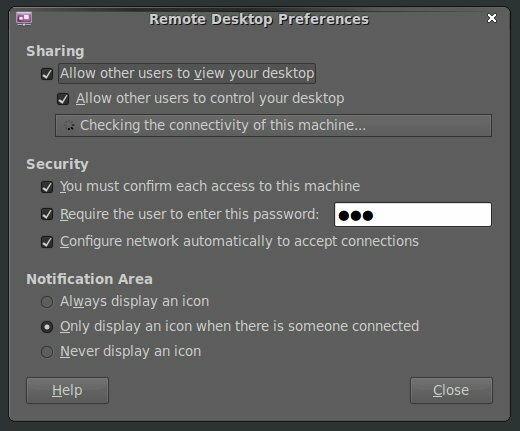 Inside "Remote Desktop Preferences", make sure to check "Allow other users to view your desktop" and Allow other users to control your desktop" options. It will then automatically check the connectivity of your machine. You can also set a few security options. I always have it password protected. 3. Take note of the DNS name (eg. linux-lab.local) or the IP address (eg. 192.168...) of your machine. 4. Now get your iPhone and make sure that you are connected via Wi-Fi. From the App Store, download the free version of Mocha VNC, the Mocha VNC Lite. 5. 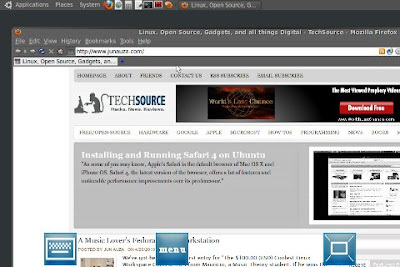 After installing Mocha VNC Lite, you can now configure your connection by putting either the DNS name or the IP address of you Linux machine under the "VNC Server IP address field". Provide the password (under VNC Password) if you have password protected your Linux machine just like mine. 7. Press the connect button, and inside your Linux desktop you will be prompted to allow or refuse the connection. Tip: You can uncheck "You must confirm each access to this machine" from the "Remote Desktop Preferences" under "Security" options to automatically connect to your Linux desktop without being prompted. 8. After allowing the connection, a warning message may appear on the iPhone. Just press "OK", and you can now remote control your Linux desktop from your iPhone. That's about it. Feel free to explore Mocha VNC because it’s really easy to use. Have fun! Please remove my visit from counter, the title in my RSS reader said "Remote Control Your Linux Desktop..."
This can be done on an Android phone also, with android-vnc-viewer or one of the other VNC options. Sorry but i fail to see why it says "iPhone", shouldn't it say Phone or Mobile. Because any Phone or Mobile with a VNC client can do this (pls correct me if i'm wrong). Just because some talented developer/s, employed or not employee by Apple, created the VNC client dose not mean that the iPhone should be given credit. Yeah, better title would have been "Did you know your iPhone has a VNC client, too?" What if my pc after checking the connectivity of your machine say "The computer is available only on localhost"? It works but so slow, I mean I see the action in the desktop after 10 sec I've done on my iphone. This is really cool, thanks. Does my iPhone have to be on the same wifi network as my local machine?